Not sure what to get for mom? You can NEVER go wrong with jewellery. Here are some great gift ideas for Mother's Day and beyond. Featuring mostly in-house jewellery designs by Zoran & Maja and a few pieces from some of the other collections we carry. Mama and Baby Bird earrings handcrafted in sterling silver and gold. Unique designer and artisan jewellery by Zoran Designs. If mom appreciates original, handcrafted jewellery these unique earrings are the perfect gift for her. Handcrafted in sterling silver and gold the "Mama & Baby Bird" earrings represent a mother's nurturing nature and the bond between mother and child. Surprise mom with a creative jewellery gift she'll treasure for life. Pretty teardrop pendants with pearl, gemstone or Swarovski crystal. These pretty pendants feature natural gemstones, pearls or Swarovski crystals floating within a sterling silver teardrop. An affordable gift for mom under $50. These pearl pea pods are designed and handcrafted in New York. Bronze castings with patina and freshwater pearls. The pearl peas can represent number of children. What a cute idea! 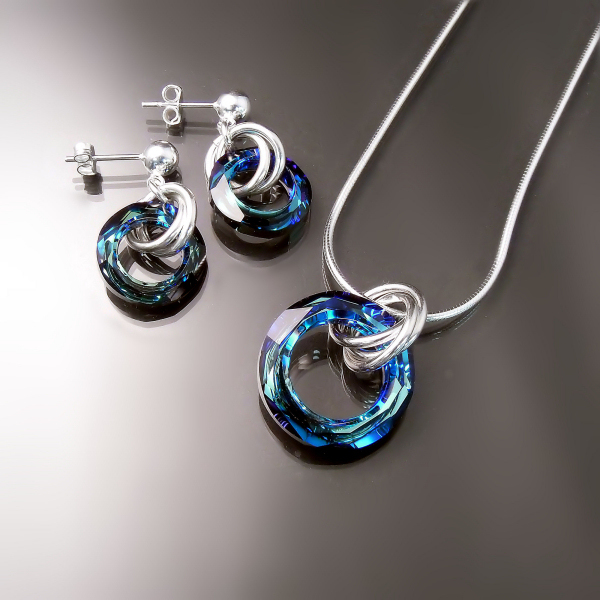 Show mom how brightly she shines by presenting her with this striking Swarovski crystal necklace and earring set. Other colours available. Mom has always been that shoulder to cry on and wipe away the tears. She's sure to appreciate these handcrafted pearl earrings featuring an elegant 14K yellow gold teardrop. Lockets make timeless keepsakes that are passed down through generations. Surprise mom with a beautiful locket that opens up to reveal a small photo or locket of hair. Brighten mom's day with a little colour! These affordable little cluster earrings come in a plethora of colours. Above version features rose quartz and fuchsia Swarovski crystals. 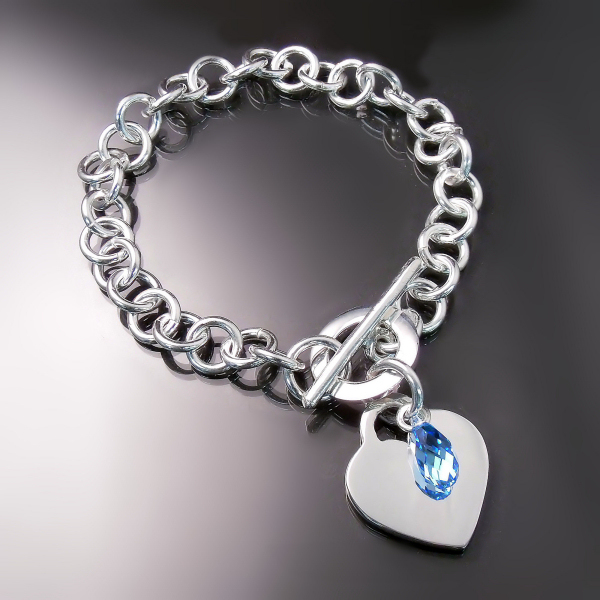 This "Tiffany" style sterling silver bracelet comes with a large heart charm that can be engraved with names of children, a date, or a short message. Swarovski crystal drop is optional. Gold hoops, huggies and sleepers are perfect for busy moms on the go. Now if you were thinking of getting mom flowers this year why not choose ones that won't wilt after a few days. Check out these gorgeous flower jewellery designs. For mom's who garden, love pretty flowers or simply enjoy unique, artisan jewellery. Dogwood pendant, bracelet and earrings set. Designed and handcrafted in NYC. Flower jewellery designs. "Daisy" ring, earrings and bracelet handcrafted in sterling silver and gold. Elegant nature inspired jewellery designs. Medallion pendant and earrings handcrafted in sterling silver. Also available in gold. 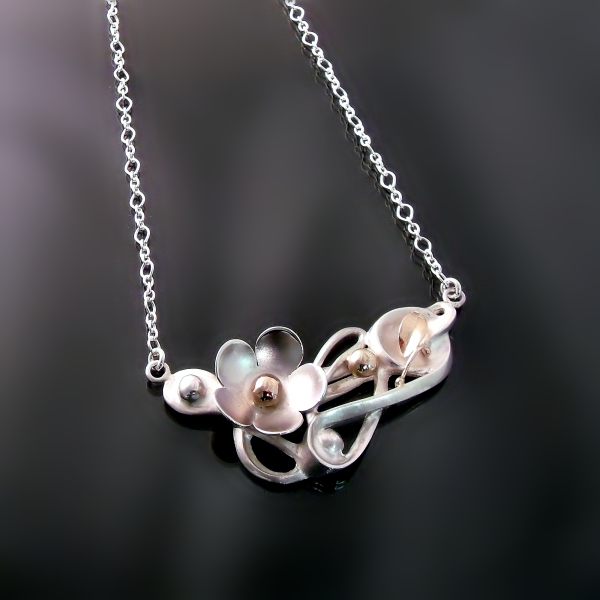 This wearable art necklace is sure to wow mom. 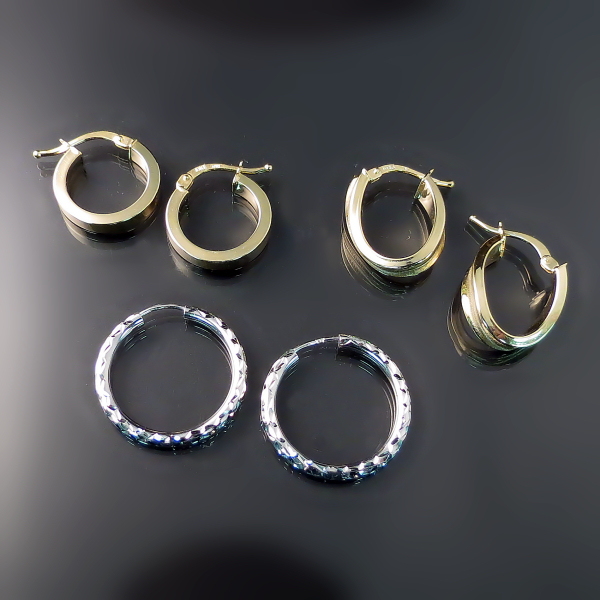 From our handcrafted designer jewellery collection in sterling silver and gold. Featured jewellery available at Zoran Designs Jewellery in Downtown Hamilton. We ship within Canada, to the US and some international destinations.